Watch Liping demonstrating Swimming Dragon Quan Form I in 1997 in San Francisco. Instructor: Master Liping Zhu L.Ac. No class if it rains. There will be class if it is just wet. 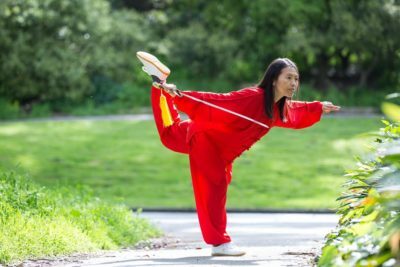 Tuition: $320 Regular; $295 Early Bird (by May 3, postmarked 2 weeks prior); $250 Retaker Regular＊; $225 Retaker Early Bird (postmarked 2 weeks prior) ＊Retaker is someone who has taken the 12 week Taichi Form III workshop in the park. During the 12 weeks, step-by-step instruction of the swimming dragon Form II and warm-up routine practice is included. Students are required to commit to the full 12 week workshop and are self-responsible for any missed classes. Excises shoes and loose pants are recommended. Warm clothes including gloves and hats are strong recommended for the chilly but air-freshed park! New students and experienced students are all welcome! Registration: Please read the cancellation/refund policy and disclaimer statement related to this workshop before your registration. If you pay via Paypal, please use the paypal button below for your payment and list your phone number, mailing address, email address and emergency contact info at the remark section. We will obtain your signature at the first class if you are a new student to Qi Dragon classes. You may also send this 12 Week Swimming Dragon Taichi Workshop Registration Form with a check payable to: Qi Dragon Healing Center, 275 20th Ave, San Francisco, CA94121. 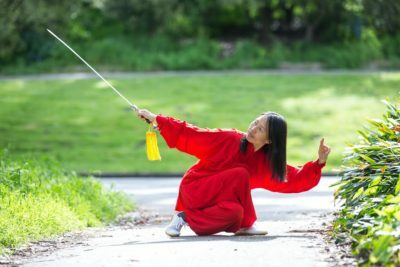 If you have not gone through learning all three forms of Swimming Dragon Taichi and don’t mind following the full form without step-by-step instruction, it would be ok for you to join the class. This training workshop emphasizes the Taichi Basics thru Qin Quan and the Swimming Dragon full form regular and reverse side practice. 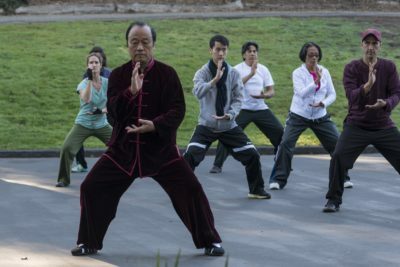 This is not a step-by-step instructional class and is especially designed for students who want to experience the full form with a flow of energy and mind concentration and who want to strengthen the Tai Chi foundation. 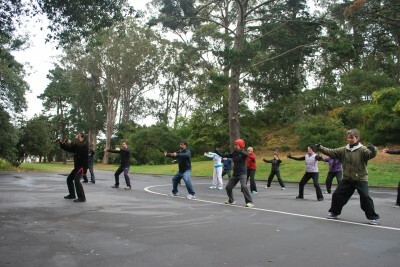 Class consists of 45min Qin Quan exercise and warmup routines for foundation building, 45min Swimming Dragon full form. Dates: TBA Total 10 classes. Tuition: $275 Regular; $250 Early Bird (postmarked 2 weeks prior); $300 at the door. There is no retaker fee for this workshop. Registration: Please read the cancellation/refund policy and disclaimer statement related to this workshop before your registration. If you pay via Paypal, please use the paypal button below for your payment and list your phone number, mailing address, email address and emergency contact info at the remark section or email us the above information. 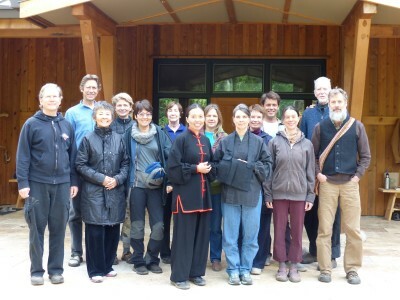 You may also send a check payable to: Qi Dragon Healing Center. Please indicate the workshop name and date. 42 CEU credits/CE Contact Hours available for L.Ac. & RNs. An extra $50 CEU certificate fee to be paid on site to Qi Dragon. 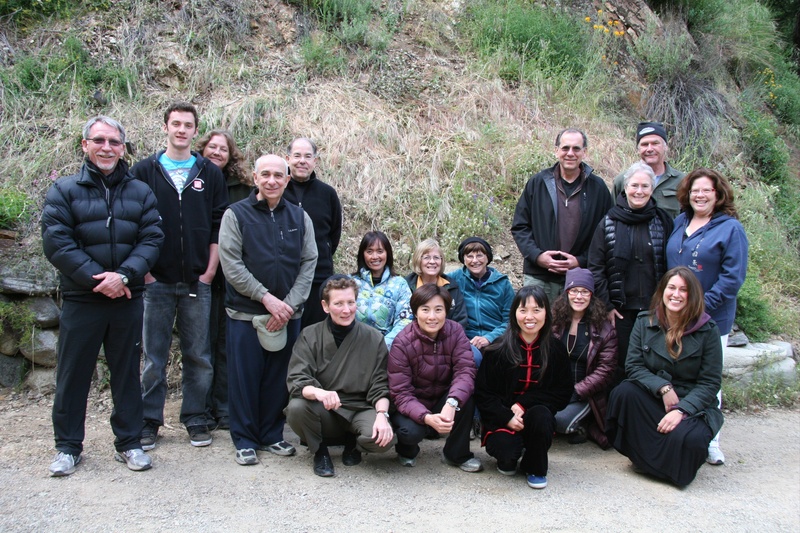 Harmonize, balance, improve health and cultivate a sense of well-being through Taichi, Qigong, and Zen. On this retreat we will practice one form of Tai Yi Swimming Dragon Quan—a gentle, flowing form of movement that combines Taichi, Qigong, and yogic stretching. 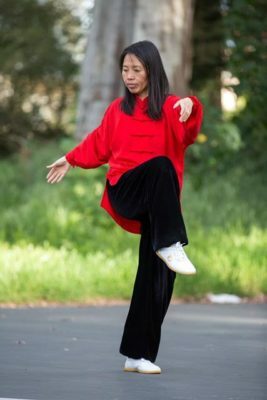 This rare Taichi style, once a secret family heirloom of Daoist Grandmaster Yu Anren, circulates and cultivates Qi and enhances balance, flexibility, and coordination. The combined practices of Taichi, Qigong, and Zen offer a lyrical and restorative experience for the body and mind that is enjoyable and vital for people of all ages. Watch Swimming Dragon Taichi on Youtube. REGISTRATION for Tassajara events: Online registration will be available on Tassajara website around early to mid February 2017. Book immediately as this workshop fills up quickly. Please know Qi Dragon does not handle any of registration of Tassajara events. Please check Tassajara website to determine the exact date when registration starts. Description: This one-day workshop will focus on working with some Taichi Qigong movements from both Qin Quan and Taiyi Swimming Dragon Quan schools. These seemingly easy and gentle exercises are powerful in building flexibility and strength, correcting body alignment and releasing stiffness. Please click the above link to register directly through Green Gulch Farm either online or front office. Instructor: Senior student John Gruenwald who is very experienced in teaching beginners. Call John about this class at 415-734-0376 if you have questions. We are excited to announce that Master Liping is planning to teach a 10-month Tai Yi Riding the Wind Sword workshop starting first Thursday of March, 2016. Master Liping will take a year break from teaching the 12 week Swimming Dragon workshops in order to teach this sword form. It has been several years since this form was last offered to the community. Please get yourself ready for this fun training. You will need to get your own sword. We ask a minimum of 10 students commited to the full course training and the class is limited to 16 students. There is no credit for missed classes and you may make up the missed section with senior students in class. For reservation, please send a check payable to Qi Dragon, 275 20th Ave, San Francisco, CA94121. This IS your only opportunity to learn this style for the next 3 years. No previous experience is necessary. No drop-ins. Dates: Thursdays 7:30am-9am starting June 9, 2016 – April 2017 ( Total 40 classes. No classes on Thanksgiving and Christmas New Year weeks. There will be ongoing practice classes led by senior students when Liping is away. You will be notified if there will be additional skipped instructional classess along the way. We will make sure the total number of classes are offered. No instructional or practice class on rainy days.) We will start each class with either the swimming dragon form or the warmup routine before learning the sword moves. Installment Payment: There is an option of three installment payments of $320 (post marked by May 15, 2016 and August 15, November 15, 2016). $30 fee applies for each late payment. This class is limited to 16 students. Early registration to reserve your spot is highly recommended! No partial participation of this workshop is accepted. Students are responsible for any missed classes. Registration: Please read the cancellation/refund policy and disclaimer statement related to this workshop before your registration. If you pay via Paypal, please use the paypal button below for your payment and list your phone number, mailing address, email address and emergency contact info at the remark section. We will obtain your signature at the first class if you are a new student to Qi Dragon classes. You can also send this 10-Month Taichi Sword Registration Form with your check payable to Qi Dragon, 275 20th Ave, San Francisco, CA94121. Time: Thursdays 7:30am-9am No drop-ins. Tuition: $275 Regular; $250 Early Bird (postmarked 2 weeks prior); $300 at the door. Registration: Please read the cancellation/refund policy and disclaimer statement related to this workshop before your registration. Use the paypal below for registration.You may also send a check payable to: Qi Dragon Healing Center, 275 20th Ave, San Francisco, CA94121. Please indicate the workshop name and date.